Those living in Waterloo will soon be getting public safety messages on their phones (phone call or text message) or via email when the region gets the alert notification system set up today. 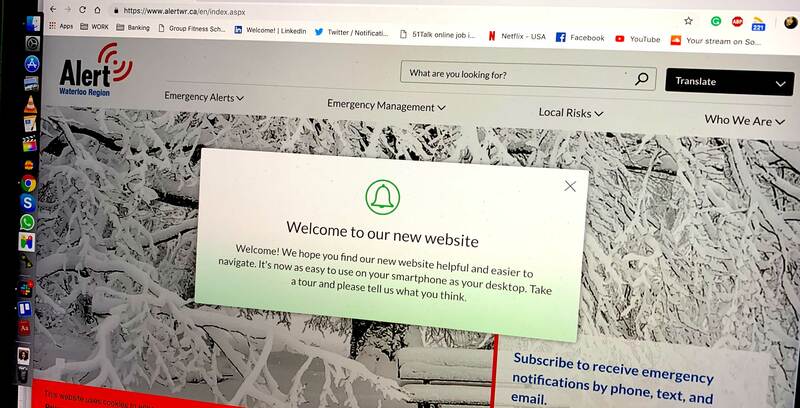 Alert Waterloo Region plans to send public safety messages when emergencies at a large scale happen that includes those related to the weather or any other major local emergency. The Waterloo Regional Police Service is in partnership with the alert system, which has been in the works since 2017, Sandy Van Solm, manager of emergency management for the Region of Waterloo, said in a CBC article. People can sign up to receive alerts through the AlertWR website. The website also does say that the primary number listed on a resident’s hydro service provider will automatically get these alerts. To get text or email alert, residents will have to create a profile on the website. Notifications will indicate the type of emergency and any instruction necessary. The CBC reported that more than 600 have already signed up for the alert system.